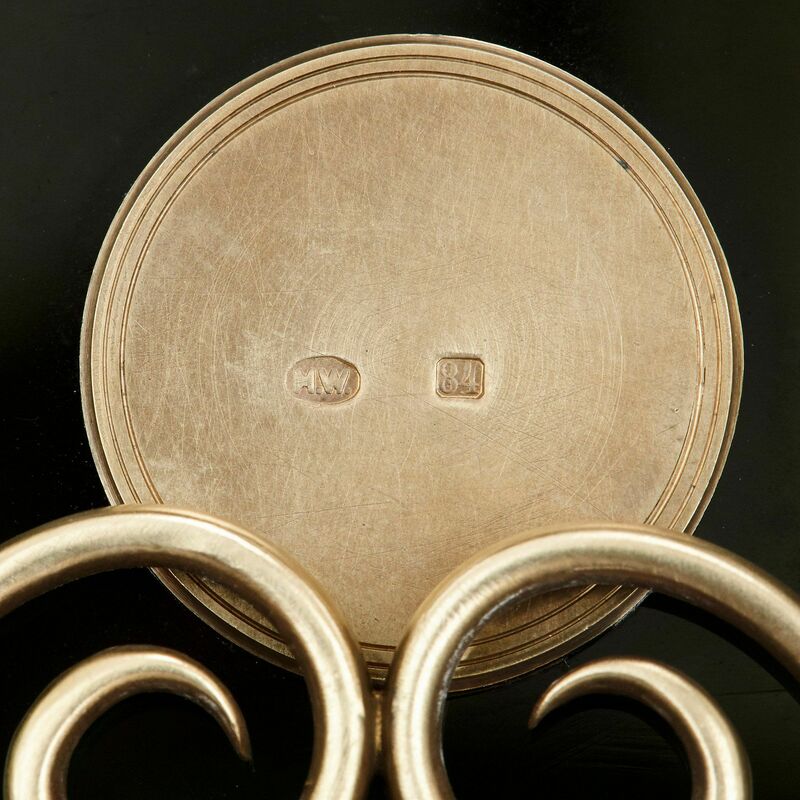 Please contact Mayfair Gallery, via the link below, if you would like us to help you source a similar product. 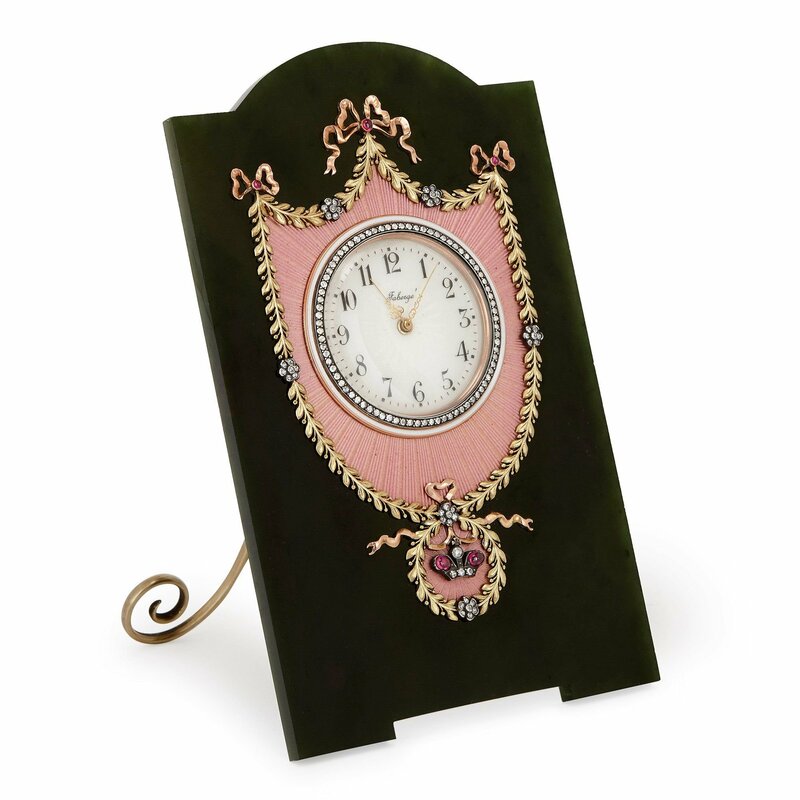 The clock is crafted of a rectangular nephrite jade panel with a surmounting curved central pediment and a narrow rectangular cut out between the two feet. 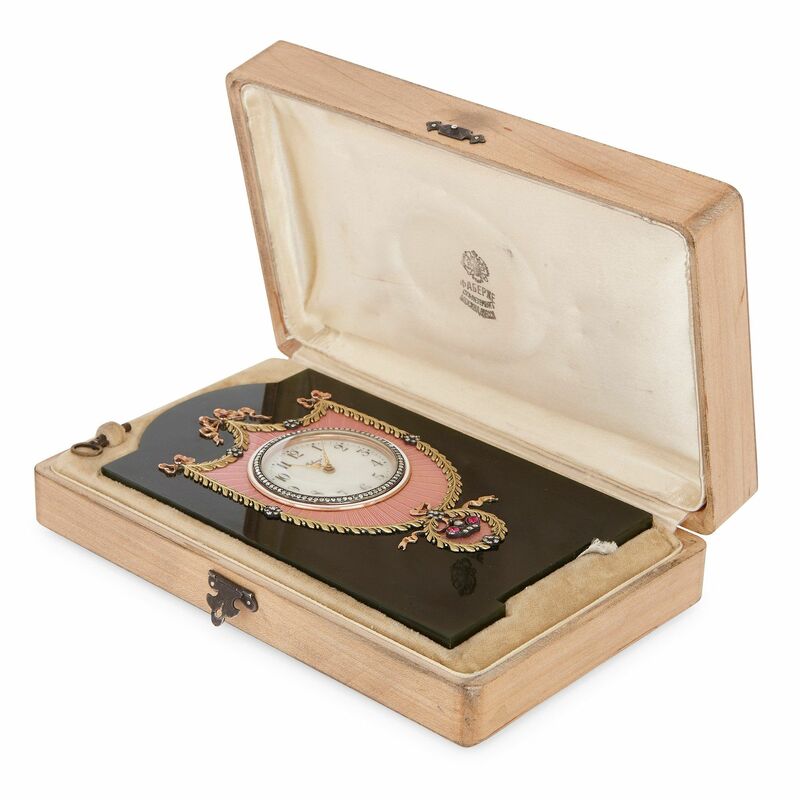 The frame features a hinged easel support of silver gilt. 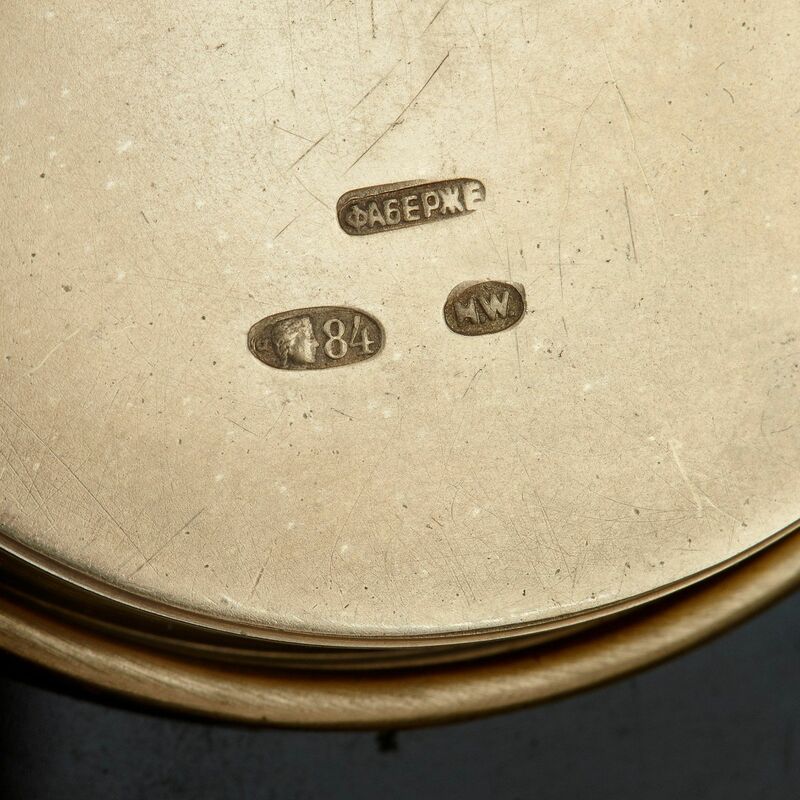 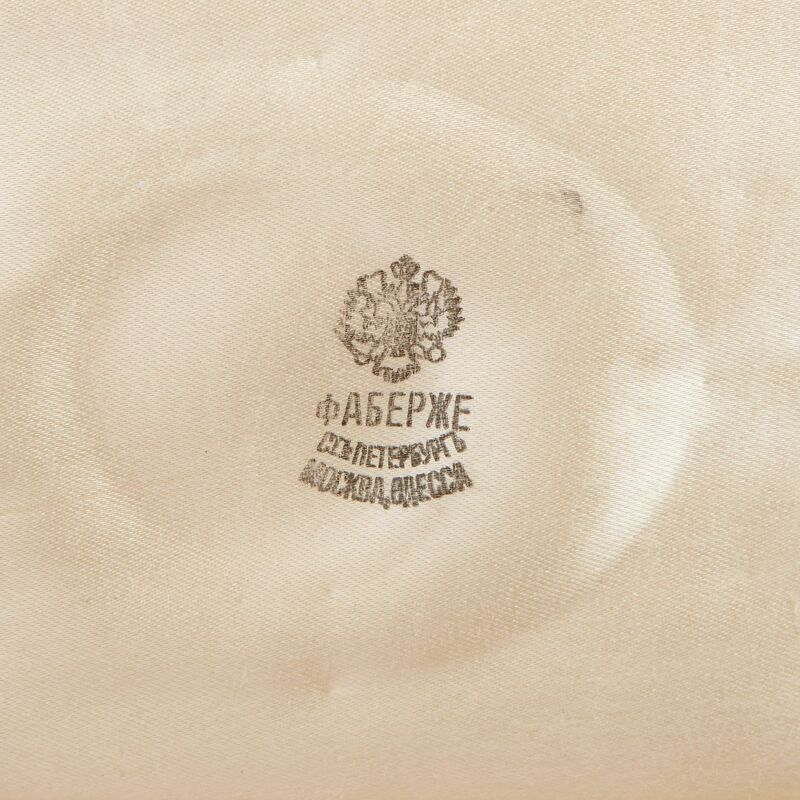 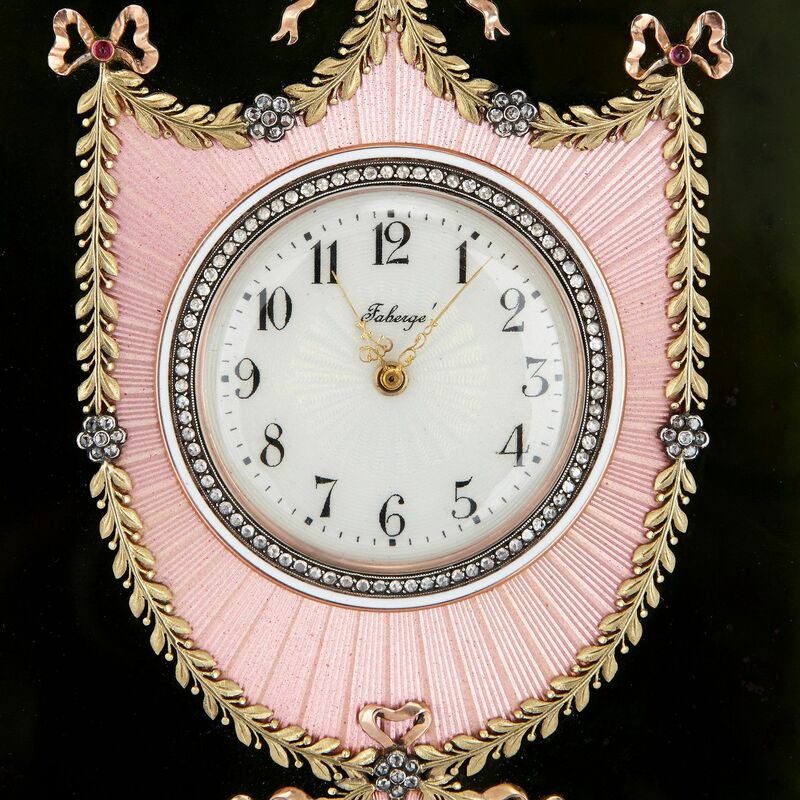 The nephrite backing is set to the centre with a circular white enamel clock dial which is inscribed 'Faberge' and bears black Arabic numerals. 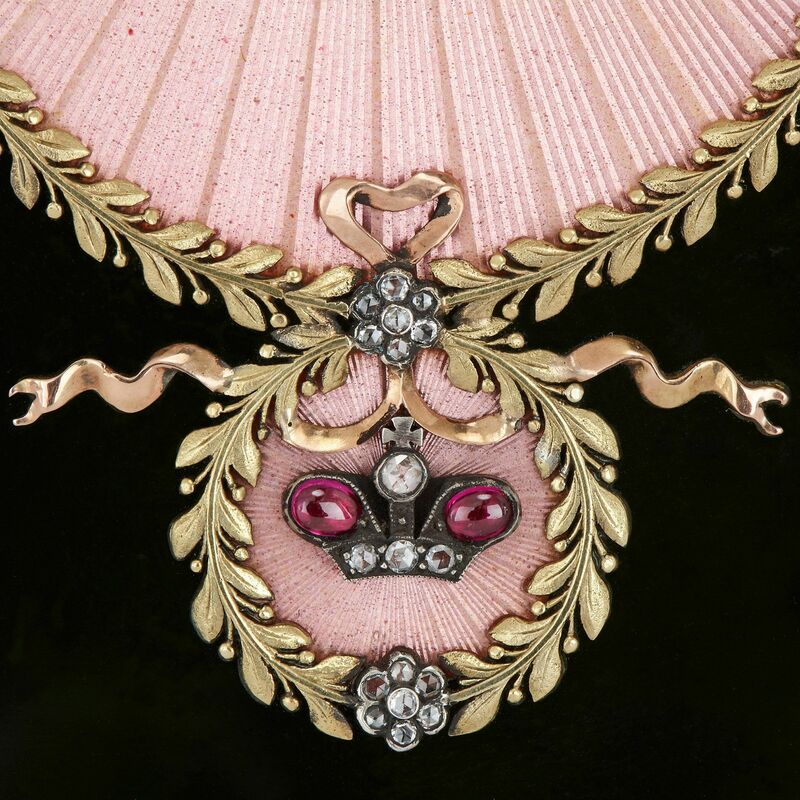 The dial is surrounded by a band of diamonds, all set within a pink guilloché enamel shield, featuring a silver gilt leaf and bow border, set with precious stones of diamonds and rubies. The table clock comes complete with a fitted and cushioned case.